So I chanced upon the journal of a dog named Hero. Most of you will remember my dog, Vico. An adorable lil’ sharpei-mix that strayed into my house 5-odd years ago. 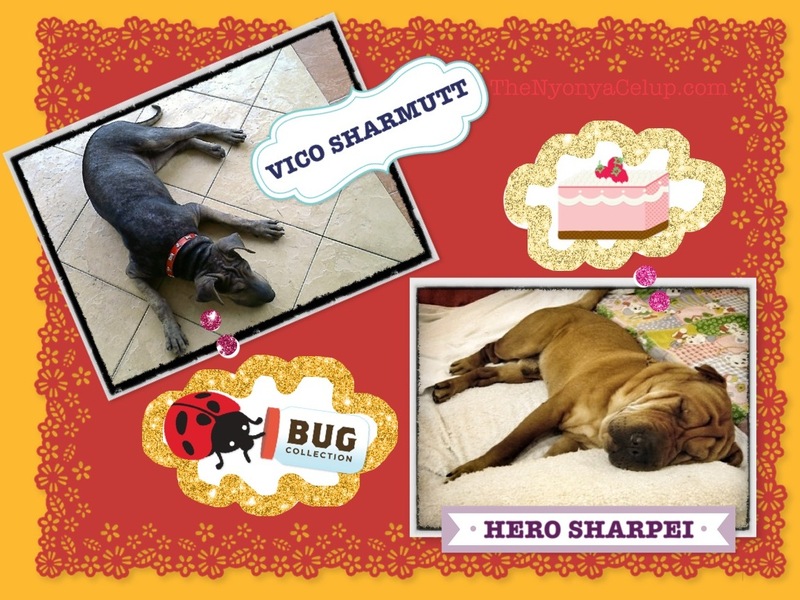 Now, Hero here is a pure bred sharpei. Unfortunately, we’re neutered on this end. Hero photo credit to his owners. Anyways, do check Hero out. Since my last post, it turns out that the most frequent search phrase associated with this blog is: fondant doves, along with how to make fondant doves. Meaning that most visitors would leave here empty-handed and disappointed. 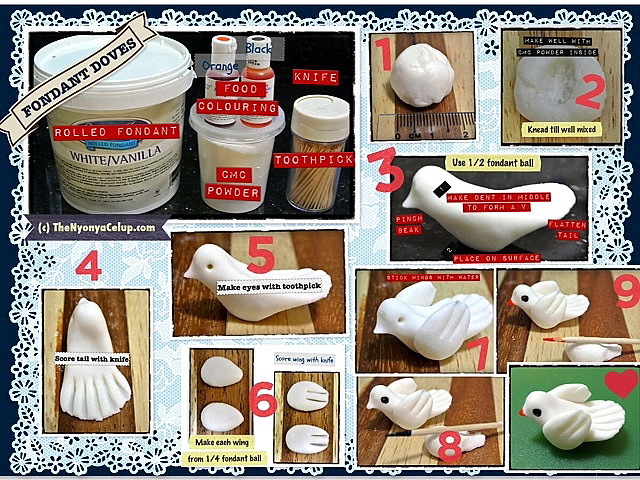 Fear not; help is on the way — The NyonyaCelup presents her simple Fondant Doves Tutorial! and Martha Stewart CraftStudio to piece it all together. I’m open to new suggestions!